Kenya’s new digital payments platform PesaLink, that will enable consumers to make real-time mobile person-to-person (P2P) payments from US$0.10 up to US$9,650 at any time without having to go through intermediaries, is “expected to cut the cost of transactions and transform the way consumers interact with their banks”, the Kenya Bankers Association (KBA) says. The service has been launched by KBA, the country’s banking umbrella organisation, with support from the Central Bank of Kenya (CBK), and will be managed by Integrated Payment Services Limited (IPSL), a fully-owned subsidiary of KBA. PesaLink will be offered “through a phased implementation, set to begin with 12 banks that have completed a pilot exercise and received product approvals”, IPSL says. 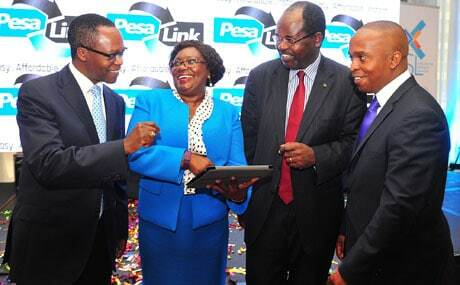 The 12 banks set to begin implementation of PesaLink are Standard Chartered Bank, Co-Operative Bank, Barclays Bank, Commercial Bank of Africa (CBA), I & M Bank, Diamond Trust Bank, Gulf African Bank, Guardian Bank, Victoria Commercial Bank, Credit Bank, Prime Bank and Middle East Bank. “As the first set of banks roll out the product to their customers, the rest of the banks are in various stages of testing the system,” IPSL adds. “Currently, the platform offers P2P bank transfers — in the second phase of the PesaLink roll out, KBA will be looking to enter into merchant payments as well as paying utility bills,” Citizen Digital reports.